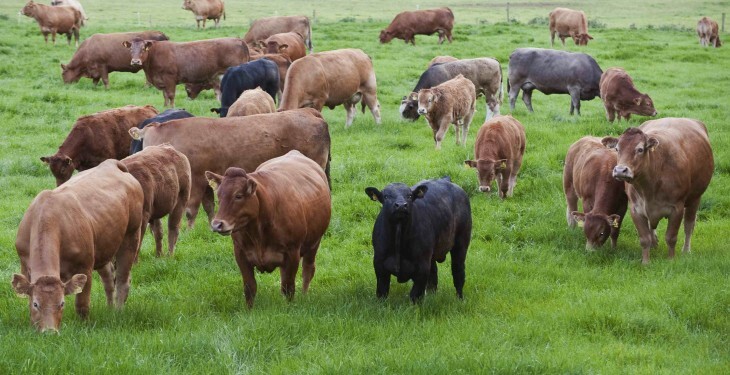 The Department of Agriculture has this morning published the terms and conditions of the 2014 Beef Genomics Scheme (BGS) and the 2014 Beef Data Programme (BDP). The aim of the initiative is to improve the competitiveness of the Irish beef industry and the quality of beef by improving the genetic quality of the national beef herd and to also contribute to the eradication of BVD. The department estimates an uptake of 550,000 calves. This figure is based on previous experience on the average take-up from similar schemes such as the Suckler Cow Welfare Scheme and the current Beef Data Programme, which has 32,000 participants. Among the key conditions of the BGS is that participating farmers will be required to carry out genotype testing on animals specified in his/her herd by the Irish Cattle Breeding Federation, where at least 15 per cent of the herd will be selected for genotyping. In addition with the BGS all animals with a current positive or inconclusive BVD test result must be removed to the knackery. With the BDP scheme, a health survey is a key element. A survey of the incidence of scour and pneumonia, calf quality and docility, cows’ milking ability and docility among other issues will be required. BGS, how will it work? The overall budget of the BGS is €23m, with an annual payment of €40 on each eligible calf following compliance with all of the conditions of the scheme. According to the department, in the event of twin calves being born payment will only be made on one of the twins. “In order to receive full payment the applicant must successfully take samples from all the animals nominated by the Irish Cattle Breeding Federation (ICBF), post them to laboratory, and subsequently be analysed successfully,” it outlined. “In order to reduce the administrative burden on farmers and the ICBF, the charge per animal for those animals subject to the genotype testing will be deducted by the department from the farmer’s payment and transferred to ICBF,” the department confirmed. It also stressed that under a separate measure, payment of €100 will be made for the second and subsequent BVD PI calf where all of the requirements regarding testing and removal have been met. 1. The applicant will be informed of the number of animals selected and selected animals by the ICBF. 2. All animals selected by ICBF must have a DNA sample taken. 3. DNA samples must be taken from cows by use of the BGS tags provided. Each BGS tag is numbered to correspond with the cow’s National ID tag number. 4. Place sample units from the kits provided in the pre-addressed envelopes and post within the timeframe specified in the sampling kits. The ICBF will contact each participant to confirm that the testing kit has been received and that they were fit for purpose. 5. Applicants must be a participant in the BDP Scheme 2014. 6. All animals with a current positive or inconclusive BVD test result must be removed to the knackery and have a date of death recorded on the Animal Identification Movement (AIM) system within seven weeks of the date of the initial test in order to be eligible for aid under this programme. In addition, according to the department, animals born prior to 20 February with a current positive or inconclusive BVD test result must be removed to the knackery and have a date of death recorded on the AIM system before 11 April 2014. “Pending removal, the infected animal(s), should be strictly isolated to avoid further transmission to other susceptible animals, particularly breeding stock,” it added. The total funding available under the 2014 BDP scheme is €9m, with an annual payment for each eligible calf up to a limit of 50 calves will be made following compliance, €20 for the first 30 calves and €10 for the next 20 calves born into the herd in 2014. 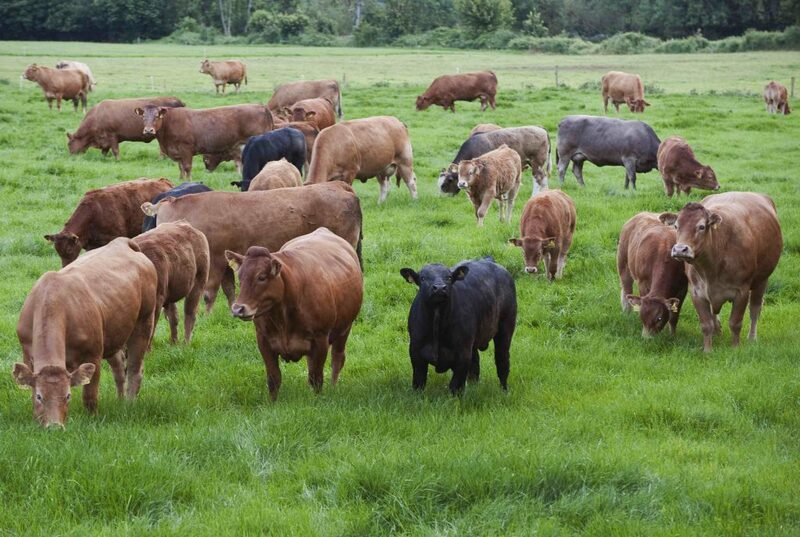 Participants must complete all commitments for all beef breed cows, bulls and their calves born in their herd in 2014. According to the department, in the event of twin calves being born payment will only be made on one of the twins. A payment of €10 per 2014 born pedigree male (registered or birth notified to an approved herd book) will be made subject to the animal being genotyped, it noted. Genotyping of these animals can be arranged through the appropriate herd book. A number of commitments are required for farmers to take part in the BDP scheme. In terms of calving details, each calf must be tagged and registered with the Department’s Registration Agency, Clonakilty, Co Cork within 27 days of birth, with sire details for each calf and a calving survey for each calf will need to be completed. According to the department, calves must be registered using any one of the following methods: www.agfood.ie; the ICBF Animal Events System – animal events book; or department approved farm software providers. With regard to the survey, incidence of scour and pneumonia will be required for all animals, with calves – quality and docility – calves must be at least five months old and still maintained on the holding. ; with cows – milking ability and docility; and stock bulls – docility and functionality. Surveys may be completed using www.agfood.ie or www.icbf.com. The application forms must be completed and signed by all parties to the herdnumber and submitted to the Beef Schemes Section, Department of Agriculture, Food and the Marine, Government Offices, Old Abbeyleix Road, Portlaoise, Co. Laois by 4 April 2014. Any applications not received at this address will not be accepted. Only one form is required to apply for both schemes, however, you must indicate using the tick boxes the schemes under which you are applying. Farmers can apply to join the BDP Scheme and/or the BGS Scheme. Both are voluntary. However to be eligible to participate in the BGS Scheme he or she have to be a participant in the BDP Scheme. Farmers may submit your application online. If you are not already registered for the Department’s online services you will need to register first at www.agfood.ie.